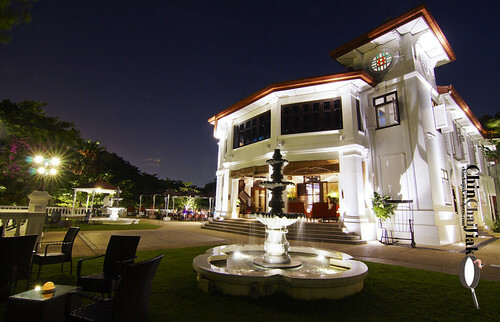 Alkaff Mansion is reputed as one of the most romantic restaurants in Singapore. i celebrated my birthday once, and also attended a friend’s wedding at Alkaff Mansion. This is my third visit and I would like to thank Jeanette from Sixth Sense Communications & PR Consultancy for the media invite and Alkaff Mansion for hosting me. The history of the Mansion goes way back to the 1918 and has been around for almost a century. The mansion was built by Arab (Yemeni) immigrants as their weekend retreat bungalow and was subsequently abandoned during WWII. 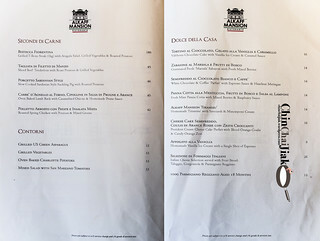 It reopened as a restaurant in the 1980 but closed down in 2003. 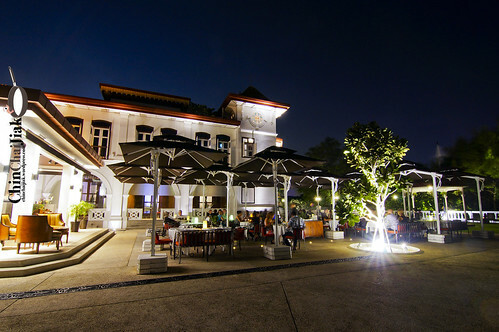 In 2010, the management of Alkaff Mansion, LHN Culinary Concepts, won the bid from Singapore Land Authority and renovated the mansion at about $5 million and turned it into the current posh Italian restaurant. I was quite mesmerised by the whole ambience of Alkaff Mansion when I first visit them in 2013. It is something quite un-Singapore. What greeted me after a small flight of stairs are patches of lush greenery and the sounds of water fountain. 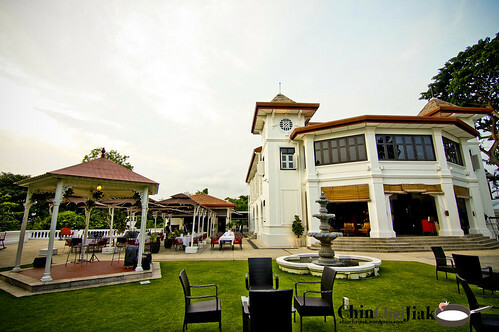 No traffic can be spotted here as the Mansion is totally tucked away from the hustle and bustle of the city. 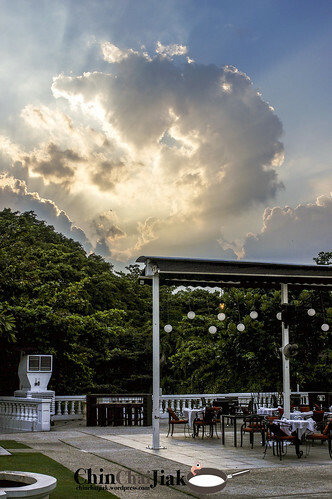 There was a performance put up by an unplugged band at the Gazebo that overlooks the outdoor terrace dining area while the guests enjoy the al-fresco dining that’s accompanied by the soft relaxing music. The main dining area is at level one of the Mansion. Each dining table is very well-spaced from each other to ensure couple get to enjoy their private lovely dovely moments. 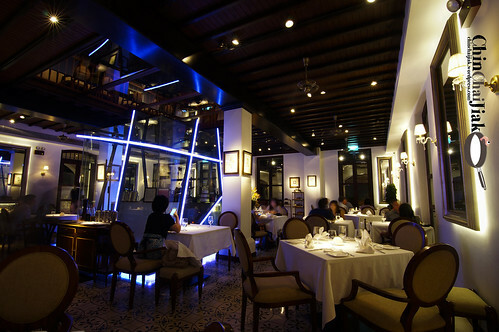 The lavish interior design and the dimly lited dining area sets the perfect mood for a romantic dinner. The newly appointed Executive Chef, Simone Depalmas, is a native Sardinia (Italy) that had more than 20 years old culinary experience. 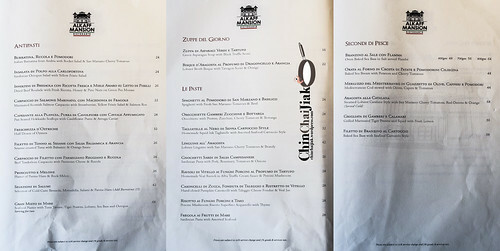 Chef Simone added his own Sardinian flair to dishes and came out with a couple of refreshing items on their menu. This is one of my favourite dishes of the day. This Suckling Pig is roasted in it’s own fats for a few hours at 70 degree celsius to ensure the chunks of meat is evenly cooked and remain tender. 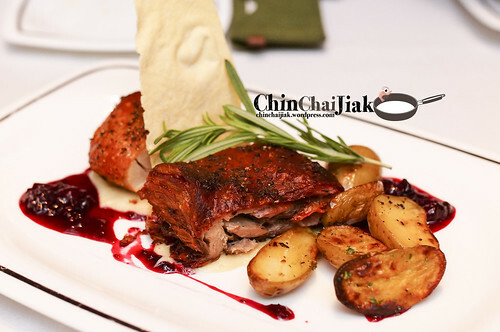 The preparation method reminds me of duck confit. The heat is turned high towards the end to produce the delicate crispy skin texture. 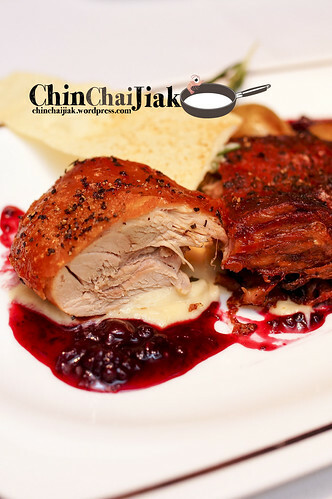 I am pleasently surprise that this roast pork goes really well with the dash of berries compote. I tend to avoid lamb due to the distinctive strong smell that comes with it, but Alkaff Mansion’s lamb rack has none of it. 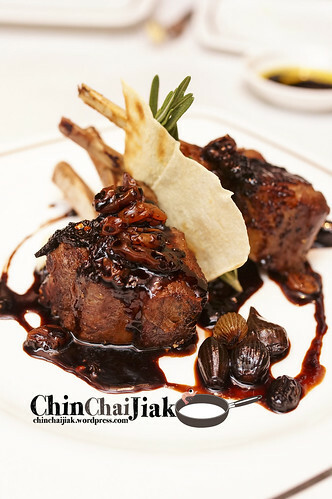 The lamb rack is baked to a good medium pink that gives the lamb a smooth and succulent texture. i could not get enough of their caramelised onion and the sauce goes perfectly with the celeriac mash. I feel that the portion can be a little bigger though. The dish that gains my favour the most is not the most fanciful or the most expensive but it’s this simple and yet delightful dish. 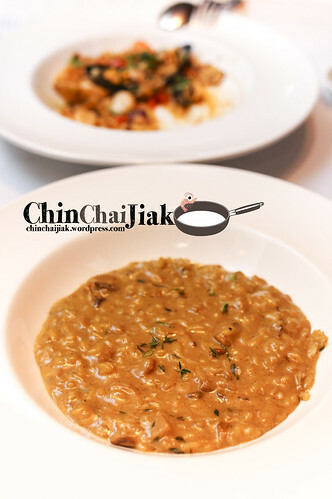 The rich garlicky mushroom broth is well-absorbed by the Superfino Acquerello fluffy-soft rice grain and this dish is complete by dousing a small amount of truffle oil. Those who like strong flavour like me will enjoy this risotto very much. 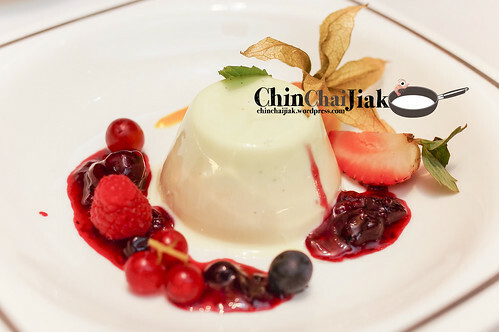 Panna Cotta is my favourite kind of Italian dessert that is mainly made from cream, milk, sugar and gelatin, and Alkaff Mansion’s is one of the best that I had so far. The mixed berries sauce gives a good balance between the sweet vanilla flavour and a fruity sour-sweet taste and is complement by a very subtle taste of mint that gives a refreshing aftertaste. 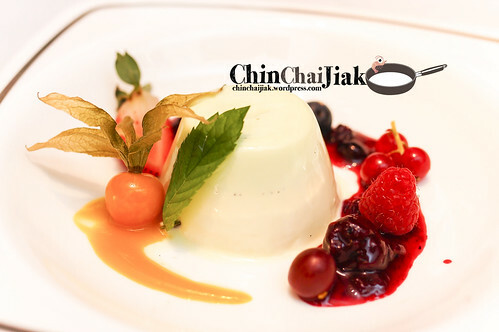 Savoring this sweet wobbly-soft pudding should be the best way to conclude a nice romantic dinner. 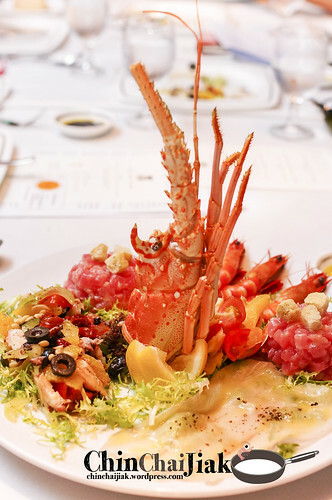 Gran Misto Di Mare – At $68++, consisting of Tuna Tatare, fresh Lobster, Tiger Prawn, Sea Bass and Octopus, this seafood platter will certainly make an impression on your first date. The portion is honestly is a little too big for two pax. 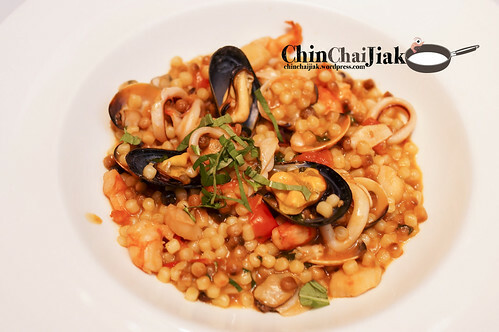 Fregola Ai Frutti De Mare ($28++) – Fregola is a uniquely Sardinian ball-shape pasta, each rolled into a diameter of 2-3 mm and toasted in oven. It’s then simmered in tomato-base sauce with clams and squids. The pearl-like texture is rather refreshing. It’s always a pleasure to visit Alkaff Mansion. 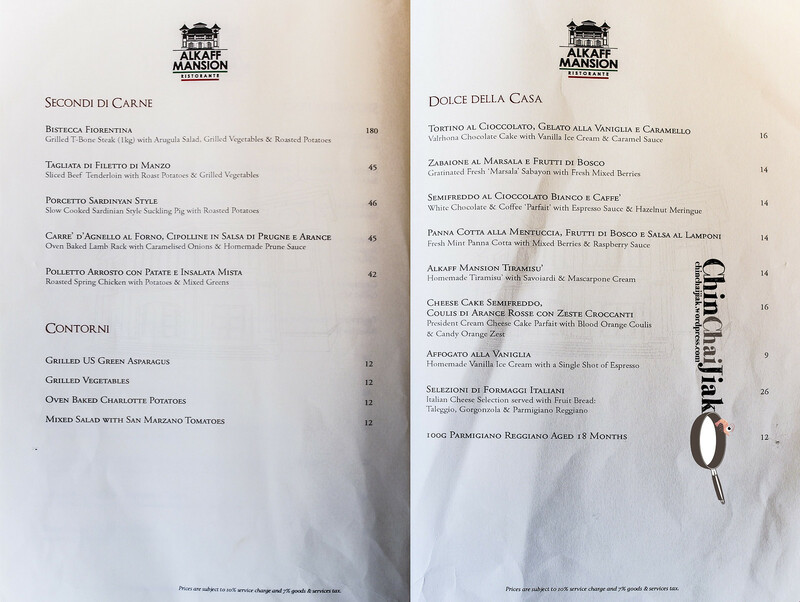 Despite the higher-than-average price tag, it’s truly a different dining experience that is reasonable to pay for the extra bucks. 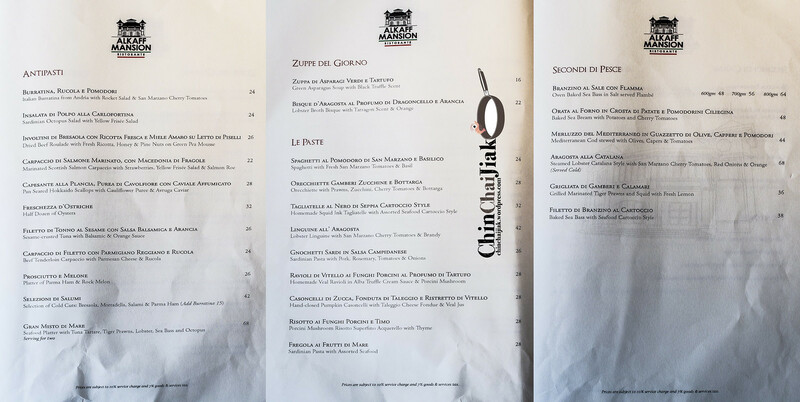 There is no pressure to leave right after dining. Grab a patio couch near the outdoor fountain area that’s dimly lited with a tea light and enjoy the rest of the night under the moonlight. 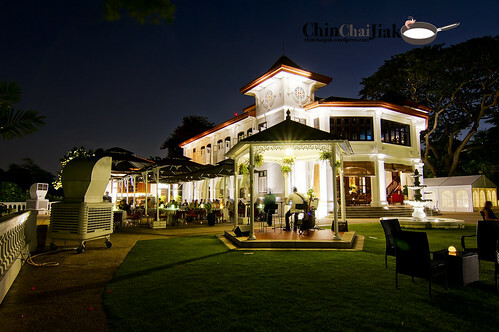 This place will always be at the back of my head when my friends ask for recommendation for a classy romantic dinner venue. For friends who are not driving, i encourage you to go down in a cab. It is possible to climb up to Alkaff Mansion from the bottom of the hill but trust me, get a cab, unless you are dining in running attire. 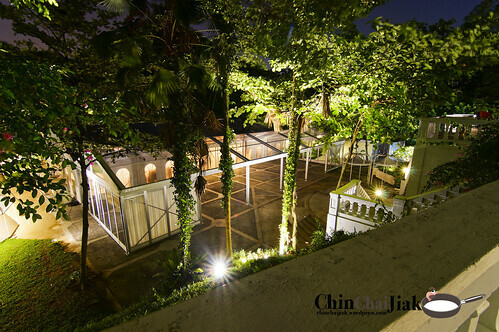 The Grand Marquee at a glance, mainly for holding functions like wedding banquet.